David decided to no longer let obesity rule his life and chose to make a drastic change. See how he did it! I am a 40-year-old male with a history of clinical obesity. For the last 5 years I have suffered with high cholesterol, high blood pressure, sleep apnea and bouts of depression. I had reached the point in my life that I could not walk to the mailbox without being physically exerted. My wife would always warn my rough housing teenage boys to be "careful" with Dad because of his health risk. Two years ago during one of my lowest points in life, I said to my wife that I didn't like the person I had become. wo years ago during one of my lowest points in life, I said to my wife that I didn't like the person I had become. I have engaged myself in a clean, healthy life style. Although my family is my first and foremost responsibility, weight training and health and fitness have become a regimen in my life. As of today, I have lost a total of 83 pounds and have been able to transform my obesity into solid muscle. The first 10 pounds I lost was from giving up sodas, I now drink nothing but water, coffee or iced tea. The diet restriction (I like to call it my lifestyle change) was simple. I was to eat high protein, low carb, low fat meals 6 times per day. My training consisted of 4-5 days per week of weight training and cardio. 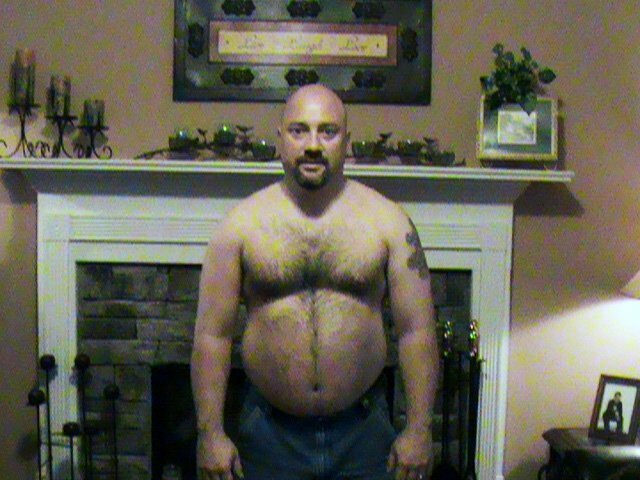 As of today, I have lost a total of 83 pounds and have been able to transform my obesity into solid muscle. Believe in the Revolution principle- Webster's dictionary defines a revolution as a radical change. The below steps will help you take charge of your revolution. Drink one glass of "I don't give a rip" every morning. This means you cannot please everyone. Live life to its fullest. Spend quality alone time with God and develop a relationship with Him…not religion. Never Surrender- Never Retreat. Your weight gain did not happen overnight…neither will your results. Surround yourself with like minded people. Do not be consumed with negativity or procrastination. Results will enable you to obtain a healthy mind, body and spirit.